Is it a real Harley? More often than not, this question pops up when someone sees a ‘Street’ version of the Harley-Davidson. Minus the long fork, noisy open-pipe exhaust, wide monkey bars, forward-positioned foot pegs, and most of all, the thunderous po-ta-toh! po-ta-toh! sound that is synonymous to HD’s big, often chrome-laced engine, skeptics think that the whole recipe of this American icon has been diluted from its real, traditional essence. 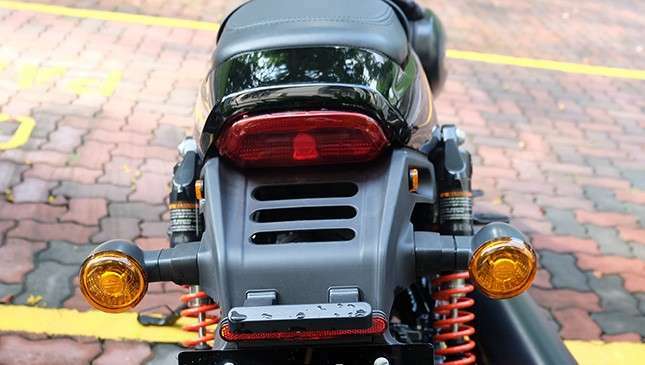 Such is the dilemma of the new Harley-Davidson Street Rod 750. Designed and built primarily to thrive in cities, this burly middleweight is perceived to have veered away from the iconic Harley styling. The new Street Rod 750 is targeting the young generation in urban centers. 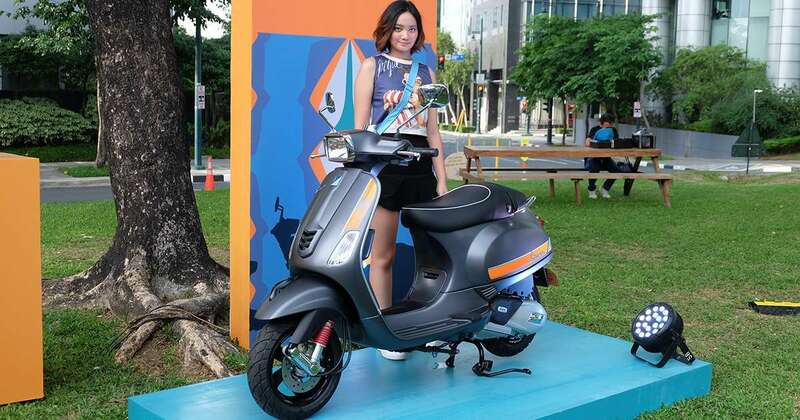 Its platform was shared from the Street 750, which had sold more than 35,000 units globally since its launch three years ago. However, it shared the same skepticism with the new Street Rod. 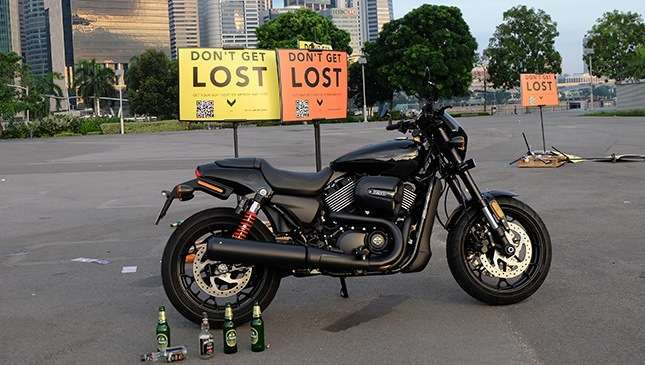 To douse off the skepticism, Harley-Davidson Asia Pacific held a media launch of the 2017 Street Rod 750 with a test ride in one of the world’s most modern cities—Singapore. 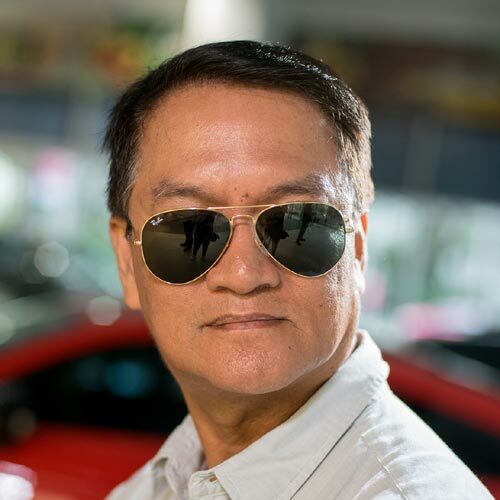 However, Harley-Davidson says this new product is slated to arrive in the Philippines either in late May or June this year, after the homologation procedures are completed. 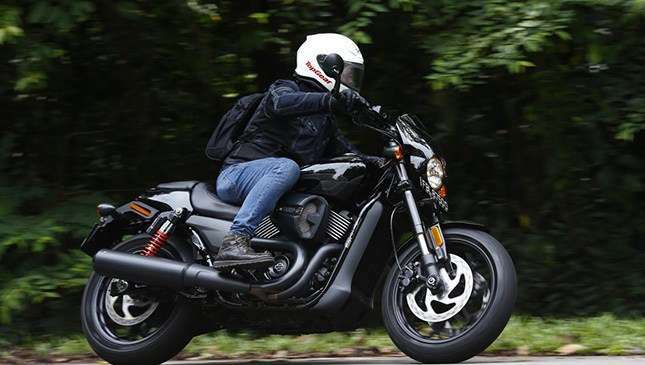 After the Singapore riding experience, can the new Street Rod 750 live up to Harley-Davidson’s solid heritage? Here’s the score. The new Street Rod 750 is definitely a looker. Brought about by the changes in the fork (from the traditional telescopic to inverted with a steeper rake angle) and longer swingarm, the Street Rod now possess the silhouette of a sports bike with a minimal retro touch. 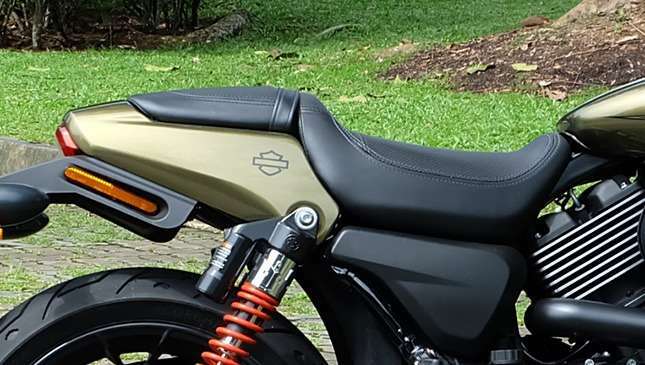 Adding to its athletic stance are the new tail section with improved plate holder, new drag-racing inspired airbox that allows the engine to breathe better, and bigger tire size. I can sense the strong HD racing traits from here. Guests at Hotel Fort Cunning can’t help stop in front of our parking area to take a selfie with the long line of Street Rods now bearing a new design language. To survive the daily city traffic, there are many factors to be considered to ensure the comfort and safety of the rider. The Street Rod’s 30.1in seat height was brought about by its taller suspension and bigger wheels. Yet this street bike is perfect for an average Pinoy like me endowed with a 5' 6" frame. The pillion ride is even made better with the new, well-cushioned two-level seats. The seating position on this HD stallion puts the rider in a race-like stance since its foot pegs are positioned slightly higher and rearward. From the seat, the rider can clamp the tank with his legs with ease for better control of the bike. We rode east, north and west of Singapore with the Street Rod 750, covering more than 120km of flawless city roads with just short stops in between. Middleweight motorbikes like the Street Rod 750 are known for their versatility. Despite being smaller in dimension, they’re fuel-efficient and priced at affordable rates. 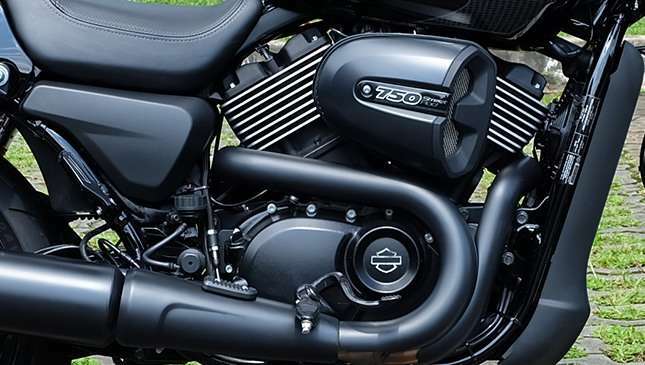 So when it comes to engine power, the Street Rod 750 can surprise riders who are more biased toward 1000cc bikes. When we cruised by the westbound route, a five- or six-lane stretch allowed us to push the Street Rod to 180kph. It didn’t take too much for the bike to achieve this, considering that it's propelled by the high output Revolution X 750 engine that generates 8% more torque accross the rev range compared to that of the Street 750. In terms of horsepower, the Street Rod is packed with 18% more at peak levels. Even its rev limit was raised from 8,000rpm to 9,000rpm; power delivery is smooth and linear. Nimble and quick, the Street Rod indeed possesses the HD racing blood which many owners of classic Harley cruisers are deprived of. The ‘Bulldog stance.’ This is how HD engineers call the rider’s posture when mounted on a Street Rod and with hands on its handlebars. With the wide, straight handlebar design, the rider’s elbows are positioned outward, giving him better control of the bike when turning. The rider’s body is also in a slightly forward position that triggers an adrenalin rush when riding. 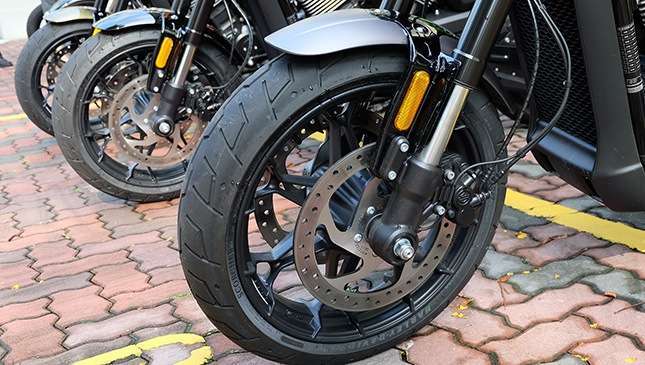 However, the brake and clutch levers have a wide space from the grips which put Asians with smaller hands at a disadvantage, particularly when repeatedly pressing them. A pair of folding and adjustable aftermarket levers will do the trick. Another drawback is the extreme heat coming from the engine that I felt when left stationary for a few minutes. I hope HD can do something about this. Although a bit heavier than than the likes of its direct competition like the Ducati Scrambler, I find the Street Rod easy to manuever in tight city traffic, yet it can still be very aggressive in clear stretches. The Street Rod 750 has one more edge over the Street 750: The former has double-disc brakes for more stopping power. I found the braking modulation perfectly safe and effective for the city’s stop-and-go traffic. 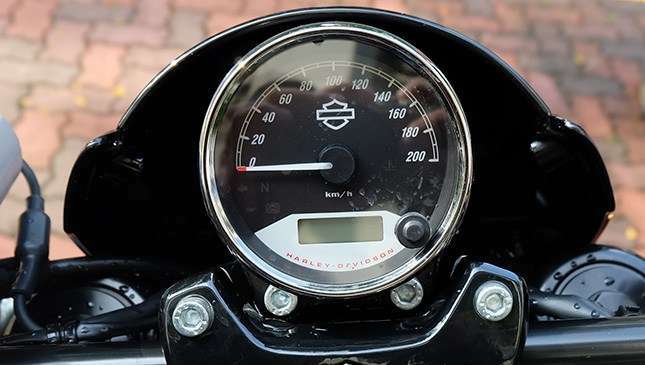 Also, the round-shaped side mirrors mounted at the bar ends add a retro touch to the Street Rod. The worsening traffic is a global problem. This gives the middleweight motorbikes like the Harley-Davidson Street Rod 750 an opportunity to multiply at a tremendous pace. It’s a new game out there! Whether you're a beginner or a seasoned rider, the Street Rod 750 will accord you an extraordinary riding experience of a sport standard with the distinct Harley-Davidson style. At this point, do you still doubt if it’s a real HD?